Are you concerned about developing your business website? If yes, no need to worry at all. There are ample of Content Management Systems which come to your help. They are one of the simplest ways to perform a complicated and content focused website. There are several CMS that take your website design and development venture efficiently. Likewise, these platforms are very useful for users who lack coding skills. However, you have to find out the appropriate one that goes along with your business needs and requirements. As per W3Techs, WordPress influences 31.0% of all the websites on the Internet, comprising those without a content management system (CMS) or with a custom-coded CMS. Besides, if you limit the data set to only websites with a known CMS, WordPress’ market share gets even more overriding. In that case, WordPress grasps a 59.9% market share of content management systems on websites with a known CMS. To create your assortment criteria smooth, here I have collected some of the best CMS which definitely can come up with every necessity of your website. Let’s get into to know how to get the best CMS website development at budget-friendly prices. In the beginning, WordPress was used as a blogging platform. But, nowadays as a content management system, it can be utilized for functional web development, re-design your website and for the design of mobile applications. Likewise, one of the top secure Content Management System which can be utilized in different ways by using different free plug-ins. This creates WordPress the most renowned Content Management System for web development. Due to its ease of use, most of the Custom CMS website development service providers and business proprietors choose WordPress over other CMS. Designing websites with WordPress areas are as easier as installing it. You get plenty of options with themes and plugins to play around that assists you to build a professional WordPress website. Some of the popular brands such as Sony, eBay, Facebook, LinkedIn and many more are using WordPress. You can also find diverse tools for CMS website builder which assist them to perform their task professionally. The platform allows the building of a website in the different platforms such as an informative site, photographic site, AdSense site, and many more. Since WordPress is chosen by Google so this can advantage your site from certain ranking preferences. WordPress has valuable guides and support for each part of their platform so you will not find your WordPress Development Company stable at some point. Read also: What is the best CMS for your website in 2019? Joomla sums up as a middle ground amidst the other two open-source systems. It is highly customizable compared to WordPress, and some respect it as being easy to use compared to Drupal. It is PHP-based and utilizes My SQL in order to store content. 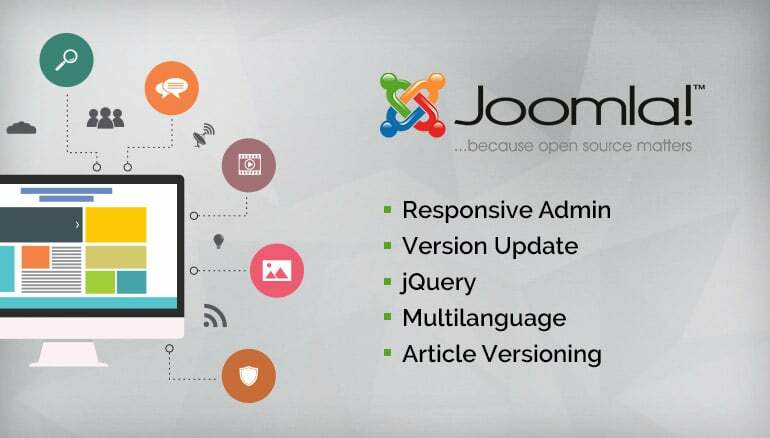 This content management system assists both you and your Joomla developer to create the desired website project such as Informative website, Business website, E-commerce website and many more. With a minute of knowledge in this area, you can manage the content of your website easily without disturbing the code behind the site. It can also be used to build powerful online applications. If you find a tough time working with Joomla, a WordPress Development Company in India or USA should always be kept in conflict to evade messing up your site. Magento is an open source platform which is primarily built for e-commerce websites as it utilizes Zend PHP databases and MQL. It comprises powerful and flexible features such as an intuitive interface, comprises tools for management and control over appearance for the goods. The platform has been acknowledged as the top e-commerce platform on the preliminary Internet Retailer B2B e-commerce 300 directs together with 41 merchants that record Magento as their e-commerce site. The platform discloses an objective of offering the customer, CMS website Development Company and partners with engaging and proper training opportunity that assists to obtain benefit from your Magento execution. Magento CMS is easy to use and allows the work with servicing of clients which is one of the most imperative criteria for today’s e-commerce websites. 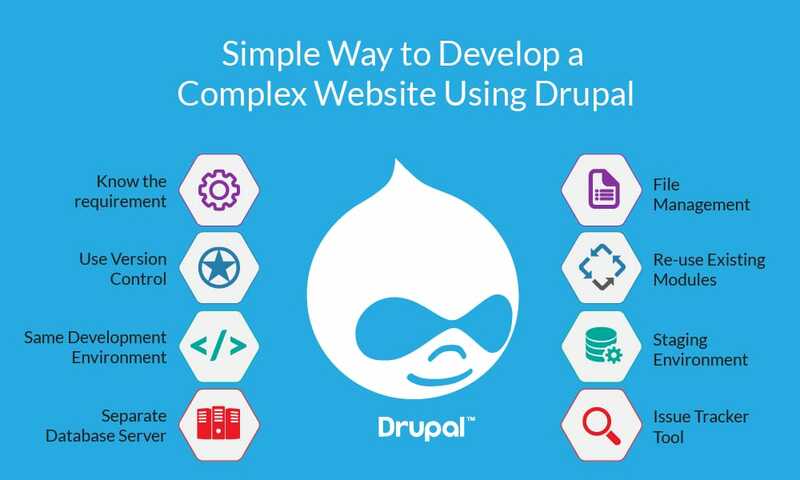 Drupal is an open source website development CMS best for informative websites, social networking websites, member websites, forums, blogs and many more. It is a flexible website development CMS that can be created with the needs of each business. However it is not accessible compared to WordPress or Joomla, it is an innovative website development CMS which is a substantial platform compared to others. The CMS is very flexible and can manage almost every type of content comprising videos, polls, user management, podcasts, statistics, texts and lots more. With the tons of plugins and since it’s an open source, it enables developing your own plugins to use on your site. The script adds graphics management that allows you to make easy and more complex page configuration5. Open source platform DotNetNuke is based on ASP.Net and it is utilized for web development. The CMS provides a set of solutions for crafting rich, substantial online experiences for their consumers. The products and technologies are the basis of more than 750,000 web solutions wide-reaching. The framework is not correct compared to the antecedent Content Management System, but it is very easy to use. It is manageable for editing the content and ideal for applications or intranets. The CMS was written in VB.NET; however, its development has moved to C# from version 6.0. You can opt for any open source CMS development company. But, the vital thing to remember when your sufficient skill is missing to develop your own project is to hire this good CMS website development company in India who is best for your project. If you need the same type of services, you can contact CMS website Design Company. They are here to offer you a comprehensive solution in the platform you desire. CMS or Content Management System assists in the formation, management, and control of HTML documents, images and contents. Being executed as the website application, either you or your selected professional can apply it to create or manage the web content. You can earn more sales only when you have your own website. Comprehensible web design will provide more and more consumers to increase sales and revenues. With the CMS website design system, you can store, setup and professionally manage the website information. It is the grounds of the website which fixes how it will fair. If you are a small or medium-size business, then Content Management System website design is a convenient tool for you. It offers you a unique solution when it comes to designing a professional website without any know-how of technology and coding. With the system, a business can manage the content successfully. Any startup business owner or businessperson is limited in resources and wants to find some solution to develop the business. – If you opt for CMS for managing your website content, you can make use of CMS website development services which is an easy solution. 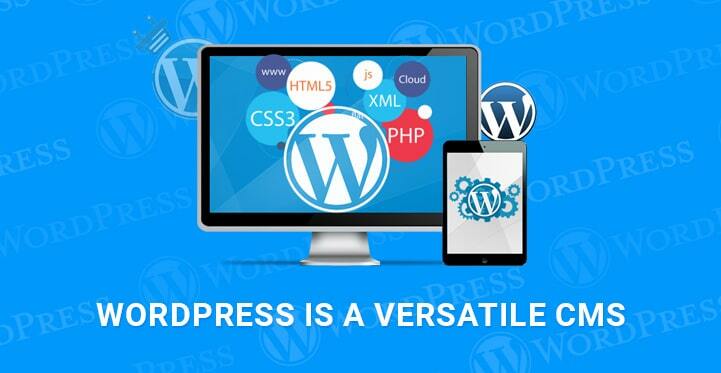 By using WordPress web development, you will have a professional and pretty looking website. – CMS is not complex and might be executed with proficiency. It offers different tools that an inexpert user may easily use without any requirement for technical knowledge. – The platform offers full access to the users in terms of website content. CMS has numerous platforms and diverse features with certain basics that emphasize them. Some of the value mentioning features comprise of managing a layout, online publishing, design and theme design, data retrieval, search features, and others. These features update the web content file along with updating the version. – With CMS, one can store a wide range of data on their website comprising video, images, texts, scientific data, and numbers. This type of data can be efficiently managed by the user even if they don’t have any proficient training in coding or any kind of technical knowledge of the management and editing skills. – CMS is just flawless for the beginners. The startup, the installation needs knowledge which a novice has. CMS can be simply installed and if an update is required, it will automatically be performed with the support of additional plugins. – It is cost-effective and a reasonable way of designing the website. Thus, if you are on a limited budget, you need not hire a professional web developer. If you previously had knowledge of developing a website, you can still utilize CMS plugins and tools to update your website now and then. By building or maintaining your own website, you will save energy, cost and time. CMS website design assists you to use control over your website design and content. Your main concern should be finding a content management system that might store and professionally manage the website information. 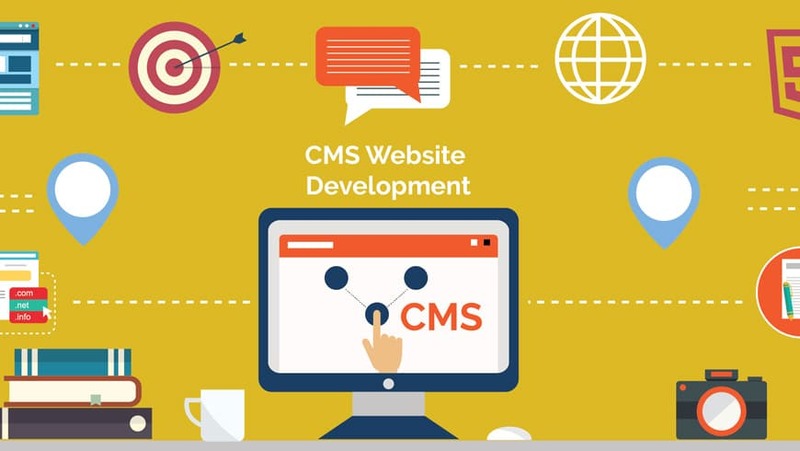 In terms of business technology solutions, Content Management System (CMS) is the affordable choice for traditionally expensive CMS development services. Traditional services often need a Content Management System Company to craft websites from scratch. When pre-designed components are available, they may have to be bought which might, as a result, expand development charges. Moreover, once the website is installed, a professional developer, a CMS development company or some technical CMS developers would have to be hired in order to do updates or content editing. CMS’s carry off most of the development time and costs because constituents come previously pre-designed and the systems themselves and various indispensable extensions are available for free. Developers’ work is, consequently, restricted to designing, accumulating the elements and building custom extras for specific needs. Most CMS’s also go together with a highly instinctive WYSIWYG editor, where very slight technical know-how is essential. Editing and managing contents can be as easier as word processing. Open Source: However, exclusive CMS’s are available; most of the best CMS website development companies always recommend open-source systems. Being open-source means that the source codes are open to all custom CMS development service developers and that they are free to adapt them as per their needs. This makes tailoring sites and their constituents much less exhausting. Some developers even post their own edits on the source codes for others to use in their projects. Community-driven: Many commercial CMS’s are supported and co-developed by personnel of their communities. This builds their products closer and more responsive to the requirements of users and their own clients. These communities also often create and publish extensions and extras, such as themes, templates, modules, and applications, through official and third-party sites. Many can be downloaded for free. Highly Extensible: CMS-based websites start off like a blank campaign that can be provided with almost any type of identity and functionality. They can put up different types of extensions to create anything from a corporate intranet, a news portal, a government services site to a university website. Instances of note comprise sports and entertainment site such as word wrestling entertainment, Algerian news site TSA-Algerie.com (Tour sure l’Algérie) and British search directory Web-directories.co.uk. There are more than 16,000 extensions and add-ons available up-to-date, with many still being developed day to day. If what you need for your website cannot be obtained, your professional developer with CMS web design software can build it for you. Easily Transferable: Website development can be easily moved from one developer to the next one. If you have found a more standard service provider, you can transfer your site to them without any technical problems. User-friendly: Administration for site owners like you comes easily because most CMS’s are fortified with a WYSIWYG editor. Every so often, only word processing skills are essential. – SEO-friendly URL’s and/or all set support for SEO-enabling extensions. – They are also propelled with multiple levels of site administration. By hiring a WordPress Development service for your CMS Website Development, you don’t obtain what you pay for, you get even more! For just a nominal cost, you achieve a powerful, feature-rich website that can place you at par with the best in terms of online services. You can have the website of your dreams deployed in no time, whether it is an in-house corporate portal, an online store or community forums. Now start off your CMS website today.